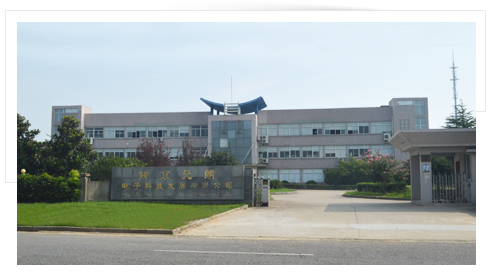 Nanjing Yuanlang Electronic Technology Development Co., Ltd., founded in 2001, is a domestic professional enterprise engaged in development, production and sales of electric vehicle speed control systems and control systems at the earliest. Our company introduces the latest motor technology and control technology from developed countries including America, Japan, etc. and provides new products with high technological content for customers. Meanwhile, our company is an appointed supplier for famous electric vehicle manufacturers at home and abroad. instruments to timely track advanced technology and develop new products. Our company stresses process control and is equipped with nearly 200 sets of testing devices for incoming quality control, process test, full check and spot check of finished products and finished product aging test to monitor and test each production and service process. Meanwhile, our company pays attention to data processing, applies seven quality control tools and continuously improves product quality through statistics and analysis of production and customer feedback data. In addition, our company regards product quality as the foundation of the enterprise and insists on implementing the requirements of ISO9000 Quality Management System. Our company establishes strong sales service network in municipalities under direct control of the central government and small and medium-sized cities including Shanghai, Tianjin, Jiangsu, Zhejiang, Henan, etc. There are more than 200 employees including over 10 software, hardware and PCB developers from the R&D and test centers, dormitory buildings, canteens and recreation rooms. Our company upholds the business philosophy of “Technology-based, Green & Eco-friendly” and takes “Customer Satisfaction” as the final objective. Over the years, our company has established good reputation among customers by virtue of reliable product quality, good credit and excellent after-sales service. Furthermore, various performance indexes have obtained general recognition in the industry, and the output and matching quantity take the lead in the industry. We are formulating the long-term development strategy and targeting at “Shoulder Responsibilities” as the eternal mission and product quality as the highest tenet instead of pursuing profit. Meanwhile, we take the success and joy of customers as the motive power and try our best for it.